Organizing in the "Powder Room"
My master bath is in serious need of updating and redecorating. It is one of a couple of rooms we haven’t touched since we moved into our home about three years ago. As of yet though, we haven’t made the time. I decided I could at least do some organizing and tidying. We don’t have a linen closet or any type of closet in the bathroom except under the sink cabinets, so we keep our towels on a shelf I got at a yard sale. It’s not the best solution, but for now it’s what we’ve got. I organize and label like items. I give my husband and myself each a basket to keep out, for the things we use most frequently. 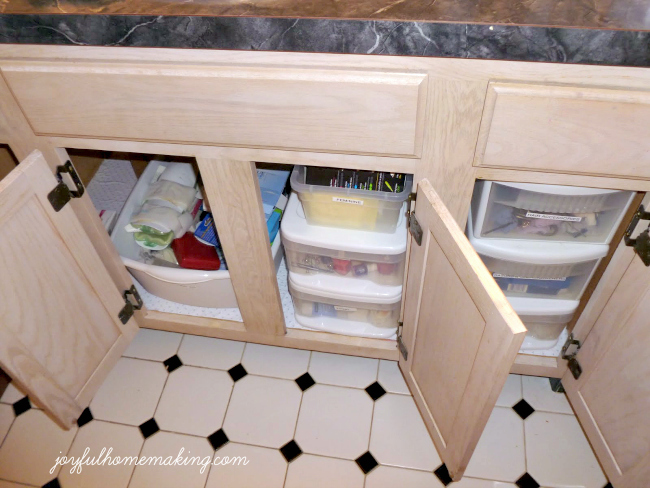 These plastic drawers are so nice for making the area under the sink an efficient usable space, because they use up all of the vertical space under the sink. If you have small children, be super careful about what you put there! 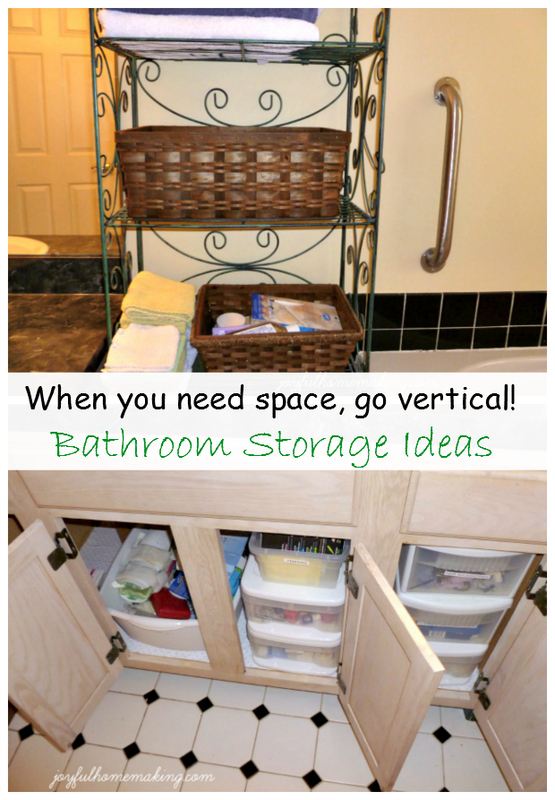 When you’re limited on space, always evaluate whether or not you can go vertical with some additional storage. 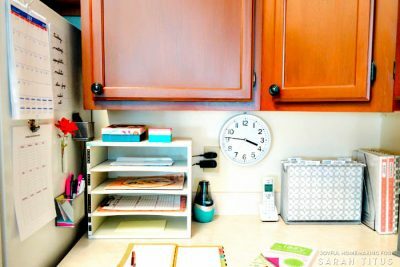 By getting rid of things you’re not using, it’s much easier to keep the counter mostly clear, which is great for easier cleaning. Eventually I’d like to paint my bathroom, and replace the counter top, mirror and lights, and maybe get a cupboard for storing towels, but for now at least it’s tidy and simplified. Remember, if you’re out of storage space, go vertical! This looks really nice!! Towards the end of the month we’re having a new shower put in. I’ve been thinking of ‘new’ ways to organize my bathroom too. Thanks for the great ideas. Beautiful! what a change! and isn’t a label maker the best invention?! 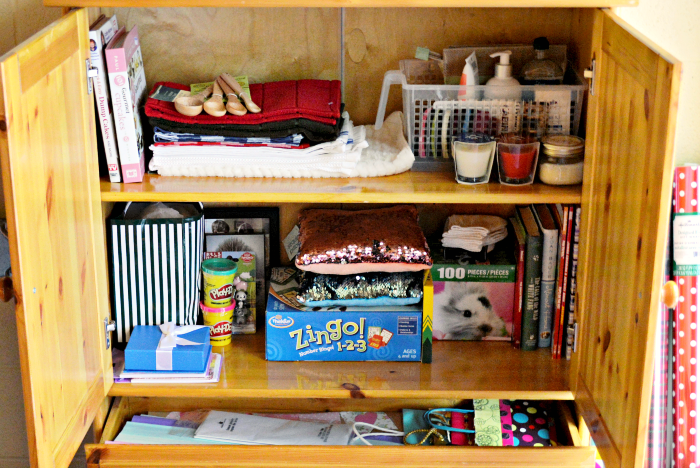 I love organizing and even seeing how OTHER people organize! It might be a sickness, but thanks for sharing! You did well. We have a challenging bathroom with my kids. . .still haven’t found anything to work! That looks so great! I did the same thing a couple of years ago when we had our bathroom remodeled. I got rid of a ton of expired, dried out, and very old products. I donated the hotel sized shampoos and bar soaps to the local women’s shelter and cut up old towels for rags. 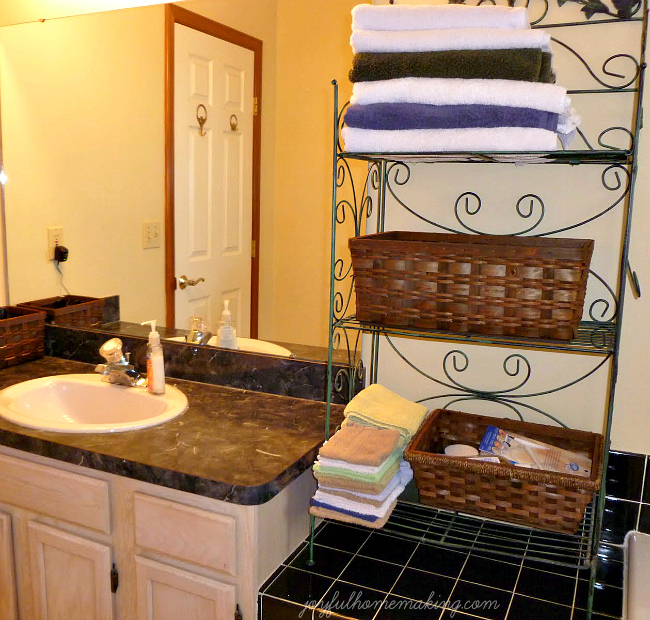 I organized the towels and washcloths and placed them in the cabinets (now empty from clearing out all that STUFF!). 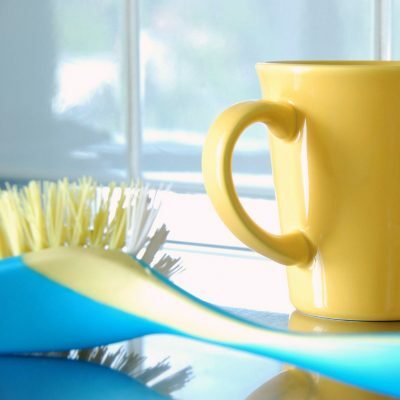 It is so much easier to maneuver in the cupboard and to keep the bathroom clean. Great pictures of your progress! It looks great! 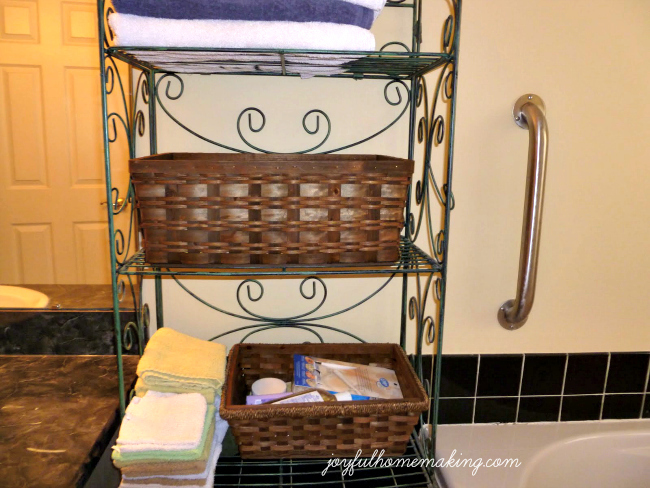 I love the baskets you’re using on the towel rack. Decorative and useful!! I’m trying to organise at the moment with a 2011 challenge so thanks for the inspiration! I love the picture at the top of your blog. You did a great job organizing your bathroom. Something I’ve done to help with too much stuff is ban myself from Bath and Body Works purchases. I have too much of that and am determined to use what I have before I buy any more. Inspiring! I have the same space limitations you do, so I’m going to try your tactics. Right now I’m afraid to even open the under-the-sink cabinet! First time visiting your blog :). Great job organizing! One thing I always do if towels need to be left out is fold them in 4ths (rectangle now), then roll them up. A little stack of rolled towels looks really nice. It’s amazing what happens when you get rid of stuff! Great transformation! I did this in my master not too long ago and it felt SOOO good! Thanks for linking up with DIY under $5! How I wish I can do this! Thanks for inspiring me. Isn’t it so nice to see a garbage bag full of stuff you don’t need anymore? I’m sure you can feel all relaxed now in your new organized powder room! Absolutely lovely! 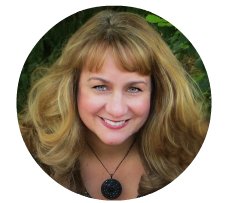 Really appreciate you linking up this great bath post at the Roomspiration blog party.